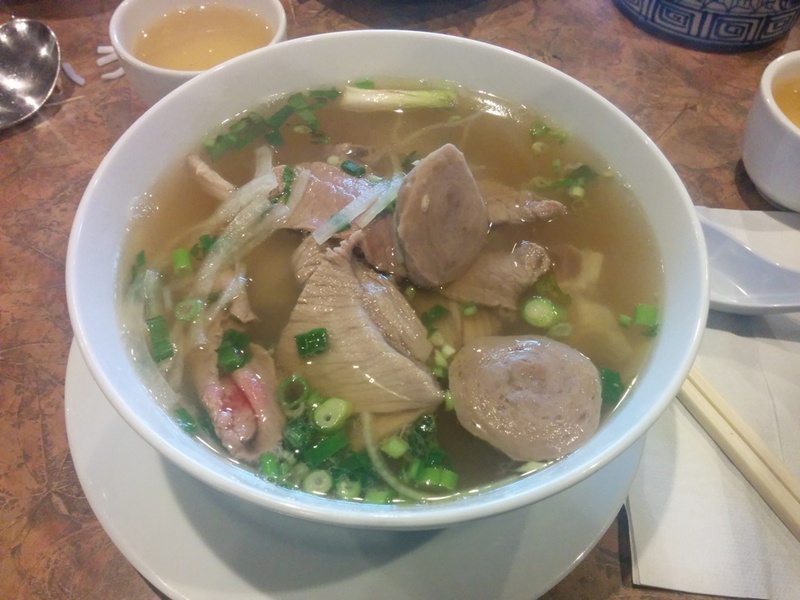 Cold chilly days means it’s a good time for pho! I saw that Green Lemongrass had pretty good reviews and it has a nice ring to it so I thought we’d give them a go. We went to their Kensington location which is in the same plaza as Dai Tung. 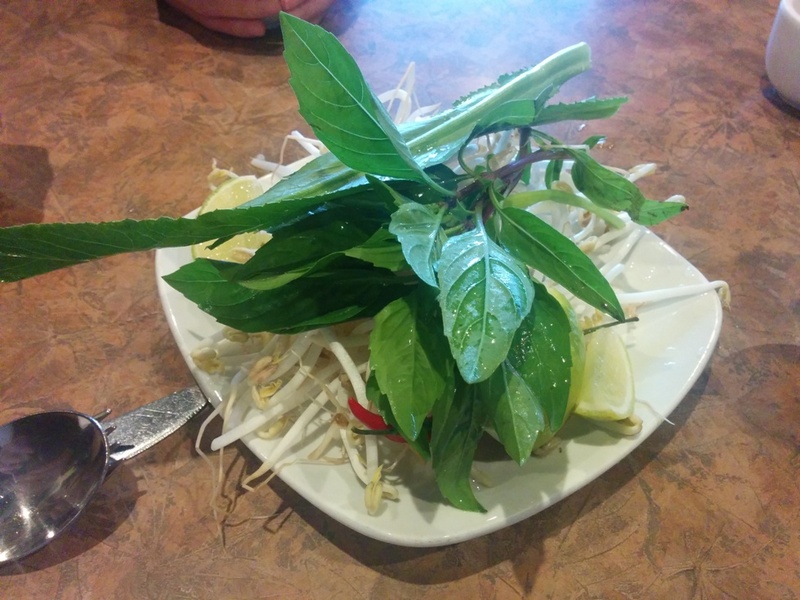 The usual bean sprouts and basil for your pho. 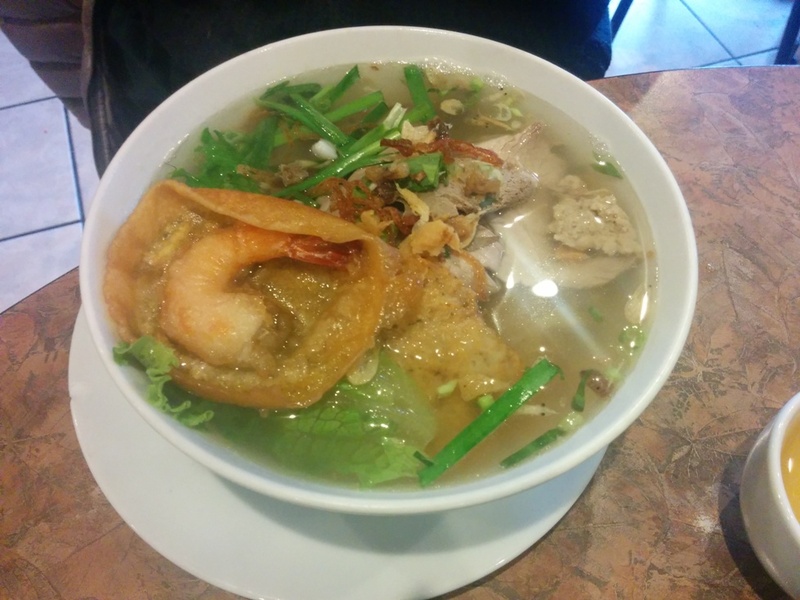 I had the House Special Pho which has a bit of everything in it like beef balls, beef tendon, and rare round steak. I got the small size and I thought the steak pieces were really chewy even though they were only half cooked when I got the bowl. The soup was okay, I feel like I’ve had better. This was the Pork Chop, Shredded Pork and Meat Loaf on rice. The pork chop was a large size but quite flat. I thought it could’ve have more flavour. The meat loaf had a really strange texture and I thought it didn’t have much flavour either. 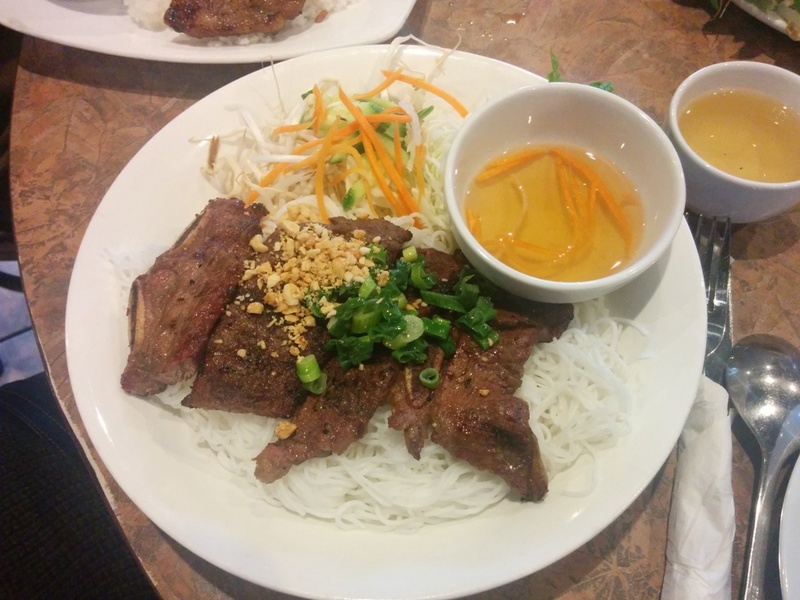 This was the Lemongrass Beef Short Ribs on Rice Noodles. I tried a piece of the short ribs and I thought it was kinda dry and chewy too. I think this was a Seafood Noodle Soup? Didn’t try this one. Okay so my experience was mediocre and I was expecting a lot based on the reviews! They just didn’t satisfy my cravings. Maybe we ordered the wrong things. 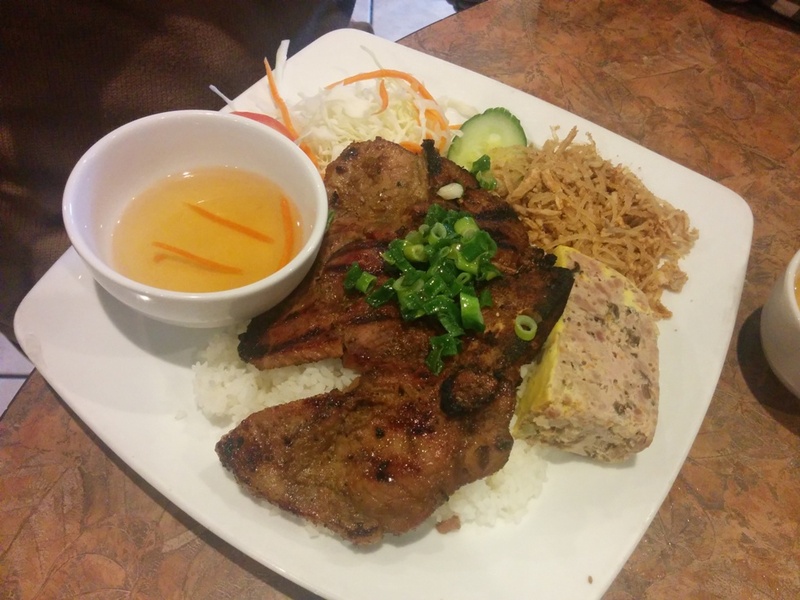 This entry was posted in Asian, Food Reviews, Vietnamese and tagged pho.